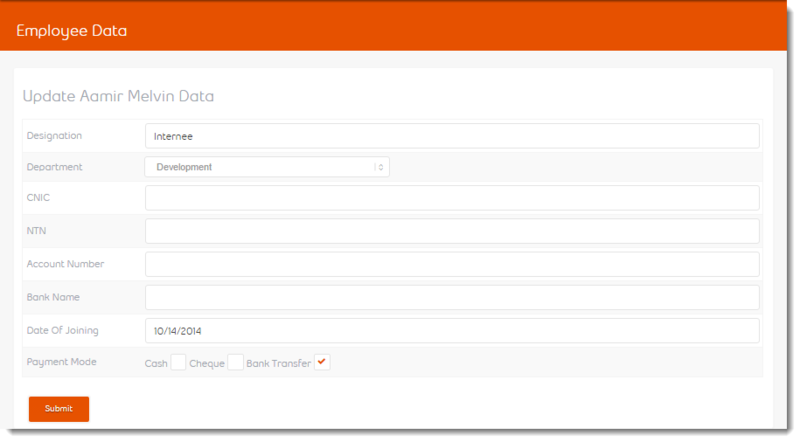 Payroll management system will collect all required information at once and gives you looong relax. Finance department just review the system provided list and click Send Payslips; this will generates dispatches payslips to each and every person of your organization. It is a onetime process that will be done by the finance department to enter the employees information. You can add and remove as many as possible payslip attributes as per your company policy. Example: Basic Salary, Medical Allowance, Special Pay and whatever you want. You can add and remove as many as possible Payslip Category as per your company policy. Example: Earning, Deduction and whatever you need. After adding the employee information, if you need to update any information such as ID card number or any other data then you can do it with update employee feature. Generate Payslips is a magic, you can Generate Payslips of your employees for future, and when you need to dispatched to every user just single click on Publish & Email. 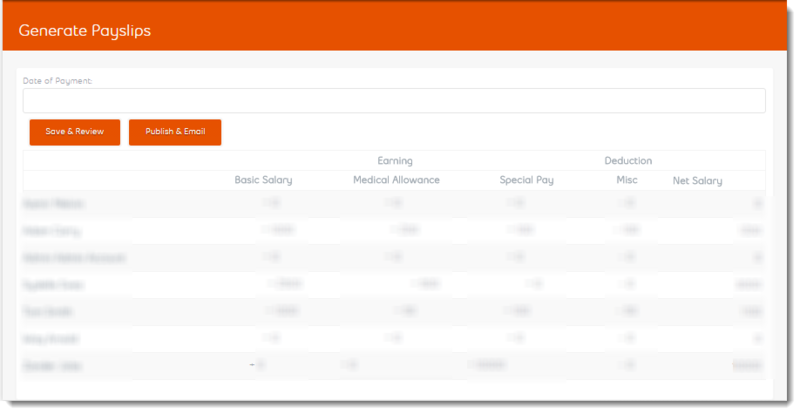 Each user is able to view his/her own monthly Payslips.